Here at CRICKETher, we’re passionate about women’s cricket at all levels, including club cricket. It’s our mission to offer coverage of women’s (and girls’) club cricket wherever we can! So – we’re starting a new feature. ‘Club of the Month’ will focus on one women’s or girls’ club every month, giving you the lowdown on their highs, lows, and everything in between. 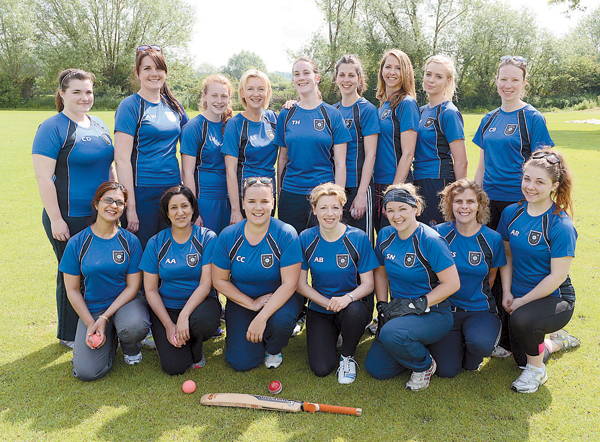 The women’s section of North Maidenhead CC was formed in November 2013. The club chairman, Tony Drake, had been approached earlier that year about the possibility of starting a ladies side by current player Tameena Hussain, after she decided she’d rather be playing cricket than netball! Tony then partnered with Jon Stewart from Thames Valley Cricket Academy, and Jon led a 6-week indoor taster session, attended by 26 women each week. The decision to form the club was made from there. They play at the beautiful North Maidenhead CC ground at Summerleaze Park, Maidenhead, Berkshire. Chairwoman of the section Laura Higgins describes North Maidenhead as being “very committed to providing excellent facilities”. In fact, support from the men at North Maidenhead has been crucial to the club’s development. Jon Stewart is still their main coach, and they have also enjoyed coaching from the NMCC men’s coaches. Club chairman Tony remains one of their biggest supporters. They’ve also been inspired by local England star and Berkshire captain Heather Knight, who has been down to the club to coach them. Berkshire are playing several of their fixtures this season at the North Maidenhead ground, and a strong North Maidenhead club contingent was present earlier this season for the Berkshire-Surrey match, to witness Heather making 65 and cheer on their county! Anyone interesting in joining North Maidenhead Ladies should contact Social Secretary Ali Wetherall (alexandrawetherall@gmail.com) or Laura herself (NMCCladies@gmail.com). We hope to keep you updated with how North Maidenhead Ladies perform over the coming season. Good luck girls!